One Holy Cross priest,Rev. Howard Kuhns, C.S.C., and one brother,Br. 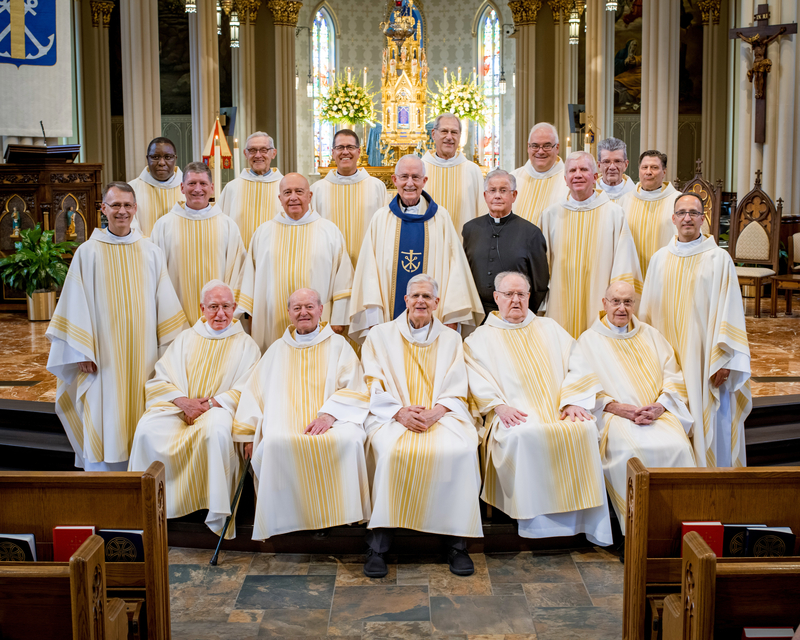 Herman Zaccarelli, C.S.C., are celebrated their 70th anniversary of Ordination to the Priesthood and 65th anniversary of Religious Profession, respectively. See the entire list of Jubilarians below. As stated inConstitution 2:12, Congregation of Holy Cross founder, Blessed Basil Moreau, C.S.C., called on these priests and brothers to stand side by side with all people as disciples of Jesus. "Like them we are burdened by the same struggles and beset by the same weaknesses; like them we are made new by the same Lord's love; like them we hope for a world where justice and love prevail. Thus, wherever through its superiors the Congregation sends us, we go as educators in the faith to those whose lot we share, supporting men and women of grace and goodwill everywhere in their efforts to form communities of the coming Kingdom." Below is the entire list of 2016 Holy Cross Jubilarians. Click here for a .pdf of the 2016 Jubilee booklet. Br. Herman F. Zaccarelli, C.S.C. Rev. T. Philip Devlin, C.S.C. Rev. Leon J. Mertensotto, C.S.C. Rev. William J. Neidhart, C.S.C. Rev. J. Robert Rioux, C.S.C. Rev. Patrick J. Sullivan, C.S.C. Br. Thomas P. Tucker, C.S.C. Rev. Robert C. Antonelli, C.S.C. Rev. James William Irwin, C.S.C. Rev. Charles J. Lavely, C.S.C. Rev. Louis A. Manzo, C.S.C. Rev. Donald P. McNeill, C.S.C. Rev. Daniel Panchot, C.S.C. Rev. Claude A. Pomerleau, C.S.C. Rev. James A. Rigert, C.S.C. Rev. Cornelius J. Ryan, C.S.C. Rev. Stephen J. Sedlock, C.S.C. Br. Dennis L. Meyers, C.S.C. Rev. John J. Donato, C.S.C. Rev. Marc F. Fallon, C.S.C. Rev. David L. Guffey, C.S.C. Rev. Fulgens Katende, C.S.C. Rev. Paul V. Kollman, C.S.C. Rev. Russell K. McDougall, C.S.C. Rev. Patrick M. Neary, C.S.C. Rev. Timothy L. O'Connor, C.S.C. Father Patrick Peyton, C.S.C., Declared "Venerable"
Rev. Thomas W. Smith, C.S.C. Rev. Patrick E. Reidy, C.S.C. Rev. Mr. Adam Booth, C.S.C. Rev. Thomas G. Streit, C.S.C.